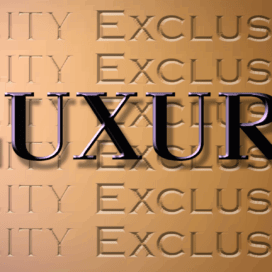 What Does Luxury Really Mean in Design? People today are about making their own statements, not with someone else’s brand. Just witness in any industry the rise of the independent company who spring up out of nowhere, threatening the share of the major brands in that space. In order to reach the affluent customer the MarketNet team worked with the American Affluent Research Center (AARC), a private research organization, as a resource to understand the affluent customer. It may be a good fit for your company, especially if you are targeting affluent consumers. Are you ready to take your business to the next level? Staying in front of your customers by capturing their interest and keeping them engaged should be at the top of your list. The path to achieving this, however, is often obscured. Jim Nowakowski, president of Interline Creative Group, will return to the Kitchen and Bath Industry Show (KBIS) this January with two new Voices from the Industry sessions. Jim’s courses will detail the strategies needed to find new business and achieve marketing success online. Don’t knock the importance on what your entryway says about your home — timeless, fresh, modern or elegant depending on the style. Many times the first impression visitors receive when entering your home happens before reaching the living room and kitchen. CMD Webinar Summary: How Sustainable is the Construction Economic Recovery? Have you been concerned with growth and trends in the construction industry since the recession, and are you eager to hear the forecast for 2016 and beyond? Here is our summary of the Economic Outlook Webcast, Construction 2016: How Sustainable is the Economic Recovery. Space: when it comes to bathroom design, it’s easy to have too little, and rare to have enough. Geberit’s concealed tank toilet system provides a sleek and innovative solution to the age-old problem of remodeling with limited space. The Washlet has become a must-have item in Japan and around the world, with over 40 million Washlets sold since 1980. Clearly, homeowners are responding to something about this product. There’s nothing like meeting the needs of a client by designing what they really need – which is not always what they want. KB-resource is owned and operated by Interline Creative Group.